I trained as a psychologist with a focus on working to improve psychological outcomes for people with medical illnesses. I was fortunate to combine research and clinical roles early on in my career. This led to an increasing interest in public health research - in particular applying health behavior principles to improving population health outcomes. I really like the 'big picture' approach that research allows you to take – considering how individual clients, clinicians and health and other services can work together more effectively to improve health outcomes. To help empower people and communities by giving them the behavioral tools to prevent or reduce the impact of chronic disease and other illness on their lives. My current work focuses on finding ways to assist general practitioners to provide best-practice preventive care; and on improving care and health outcomes for people with chronic diseases including cancer and dementia. 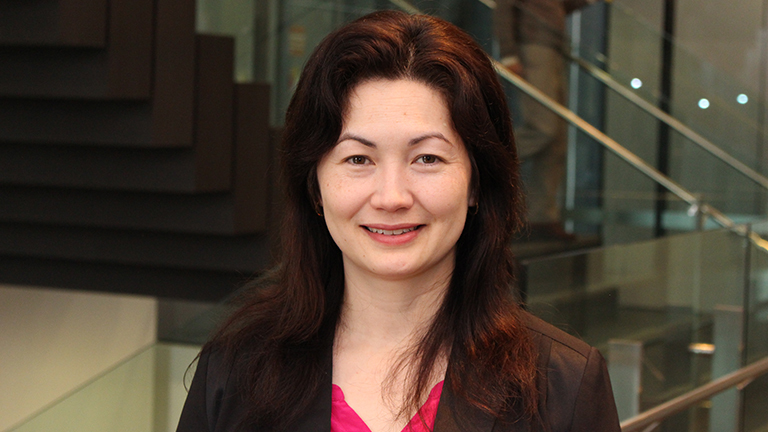 As part of the Health Behaviour Research Group located in the HMRI Building, Associate Professor Mariko Carey is involved with a diverse range of projects aimed at improving health outcomes. Much of Associate Professor Carey’s work focuses on improving the translation of best evidence into routine clinical practice. This includes projects aimed at developing ways to improve the implementation of clinical guidelines in primary care for detection and management of modifiable health risk factors; examining barriers to delivery of best evidence stroke care; and improving participation in cancer screening programs. Associate Professor Carey has a strong interest in developing rigorous ways to assess patient-centred care, and implementing and testing ways to improve patients’ experiences of health care. This includes identifying consumer perspectives on a range of topics including how medical errors should be dealt with; how prognosis should be communicated; and preferences for involvement in treatment decision making. Her work also has a focus on improving quality of life and psychosocial outcomes for people with chronic diseases including cancer. Associate Professor Carey has published numerous peer-reviewed publications, and has been involved in the supervision of several research higher degree students. In 2011, she was awarded the Newcastle University Postgraduate Students’ Association (NUPSA) Supervisor of the Year Award.